The recipe is inspired by a recent meal I had at Cordelia restaurant in Old Jaffo in Tel Aviv. They served me a ricotta and spinach-stuffed tortelloni with shrimp and Champagne butter sauce (essentially a Champagne buerre blanc) that made me swoon. This is my attempt at a weeknight version of that seductive dish. 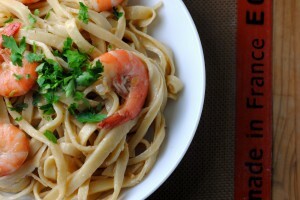 The sauce is subtle in flavor and buttery, while the shallots absorb the Champagne flavor and lend some bite to the dish. 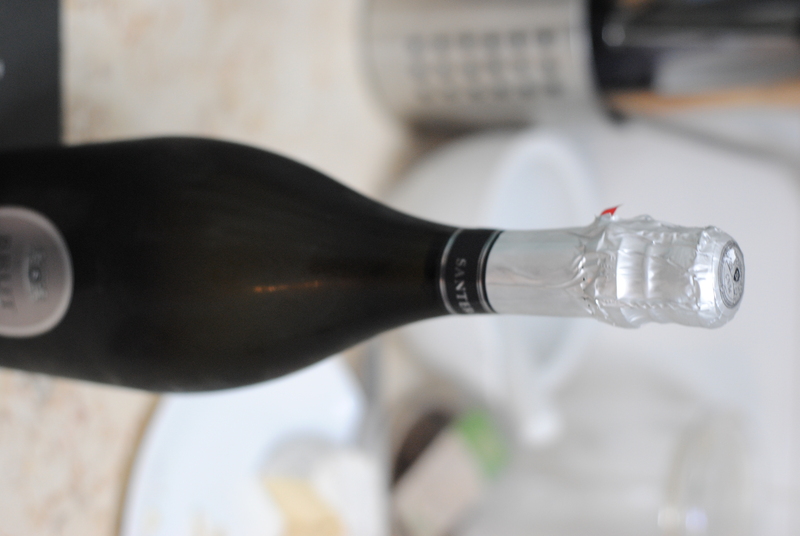 I know what you’re thinking: Champagne anything sounds too fancy for a weeknight meal. That’s the beauty of it. It’s a quick and easy recipe disguised as something elegant and complicated. Which also makes it an excellent dinner party choice. I was feeling industrious so made my own fresh pasta, but any store bought fresh pasta, or even good dried pasta will work fine. 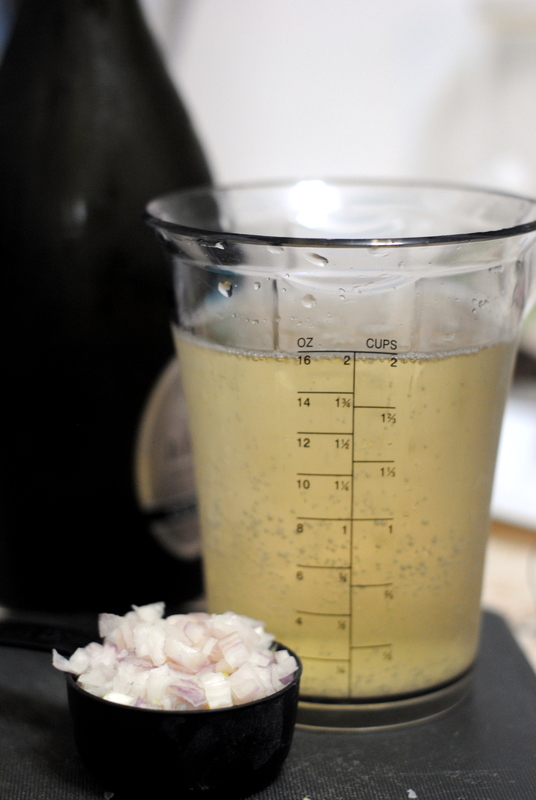 And while the vino you cook with should always be something you’d drink, you can use any inexpensive sparkling white wine here. It uses a lot, so don’t go all out on this one. If you want an even more indulgent dish, a splash of cream at the end would be lovely as well. Really this recipe is about the sauce, so if you’re vegetarian or kosher, just omit the shrimp or replace it with something else. 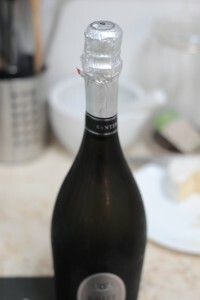 And the best way to enjoy it, of course, with a glass of the remaining bubbly. Cook the pasta in boiling water until al dente. Drain and return to the pot. Pour the Champagne butter sauce over the pasta and toss to combine. Set aside. 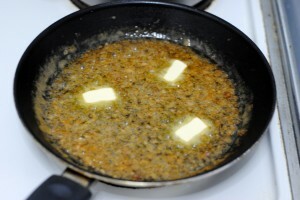 Heat the butter in the same pan you made the Champagne butter sauce in (this adds flavor and cuts down on dishes!). Add the shallots and garlic and cook until just softened. 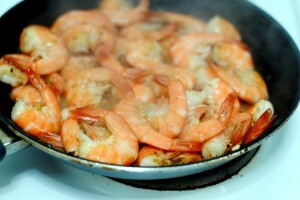 Add the shrimp and cook, stirring occasionally, until the shrimp turn pink and are cooked through (this will only take a few minutes). Season with salt and pepper and deglaze the pan with the Champagne. Stir once and transfer the entire contents to the pasta pot. Toss to combine. 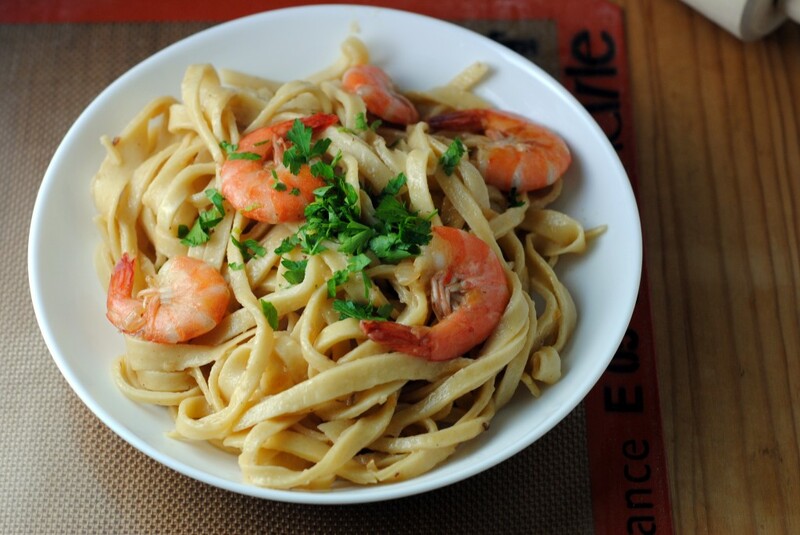 Serve the tagliatelle with shrimp and Champagne butter sauce in large shallow bowls. Garnish with parsley and serve immediately.